It's no secret that London, England, is one of my favorite cities in the world. But the thing about London (like many other capitals) is that it's actually a bunch of smaller cities all rolled into one big one. 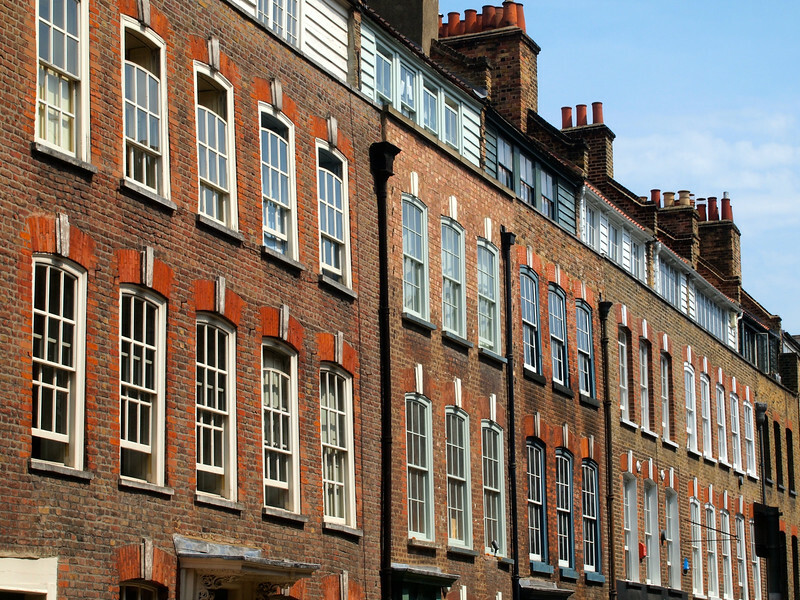 Each part of London has a distinct history – and therefore a distinct character. So on my most recent visit to London, I decided to stick to just one part of of the city. And that part was London's East End. 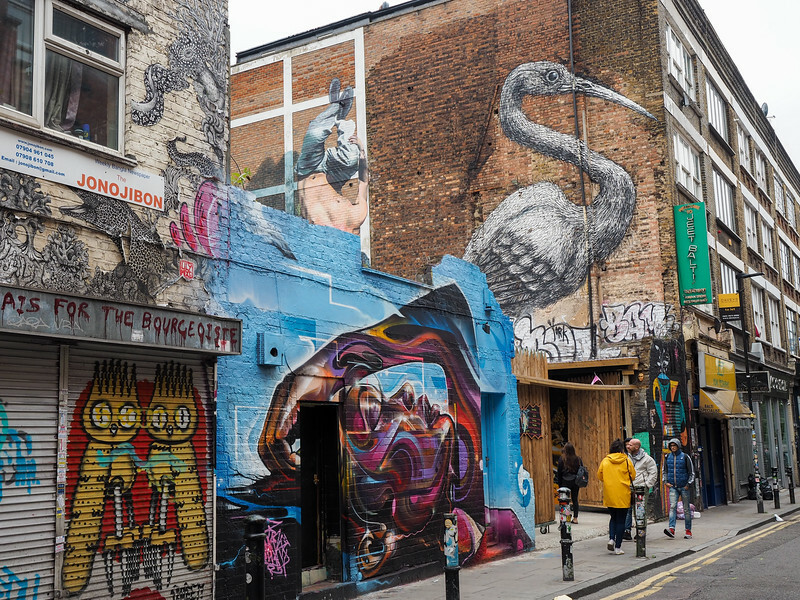 Today known for the curry houses of Brick Lane and as the birthplace of graffiti artist Banksy, East London has developed and evolved over the years into a diverse and up-and-coming neighborhood. With the exception of Brick Lane, though, it's not a place many tourists used to venture to. 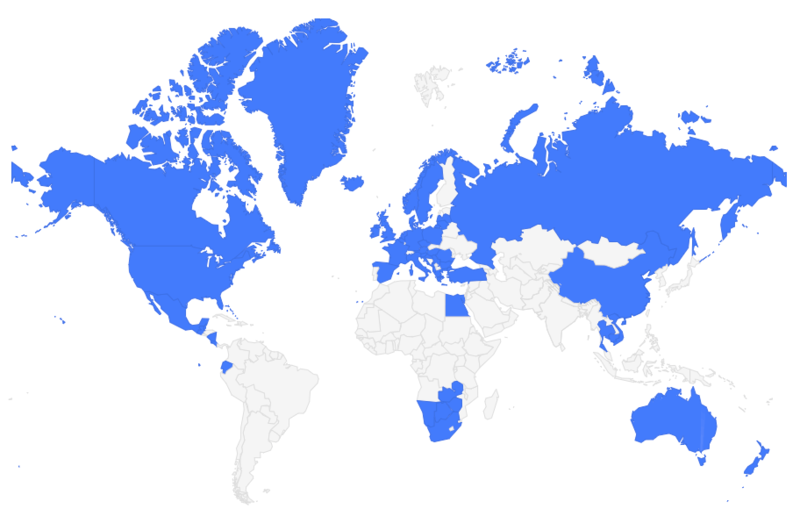 There's no Big Ben or Buckingham Palace to be found here. In fact, you'll find a lot of old warehouses and factory buildings; even shops built in converted train cars. Which is probably why I'm so drawn to East London. It's different than the rest of the city. Which makes it perfect for a weekend getaway in London. The East End of London has a long history, dating back to when the area was actually a separate village outside the Roman walls of the city. What happened, though is a typical tale of expansion and absorption – eventually, as London grew, it encompassed what is known today as the “East End” and beyond. Today, the East End is known for its amalgamation of cultures. This is because the area has always predominantly been a place where the poor and the immigrants went to live when they could not afford to live within London itself, or when overcrowding forced them out. The first group of immigrants to this part of London were Huguenots escaping religious oppression in France. They brought with them looms and weaving, paving the way for Irish weavers and Jewish immigrants in later decades. By the late 1900s, immigrants from Bangladesh were the most numerous. They still make up a large part of the population in the East End, and are partially responsible for curry basically being England’s national dish. And, while today the East End is considered an “up-and-coming” part of London, this is a relatively new trend. Even as recently as 30 years ago, East London was NOT a desirable place to live. But that just goes to show you how quickly things can change in a city like London. Start out your visit to the East End with a street art tour. 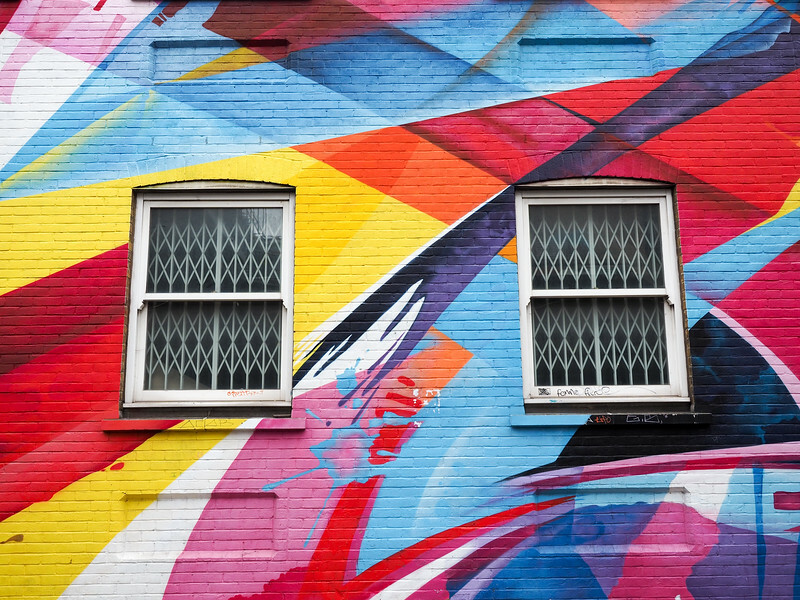 East London has been home to some of the most influential graffiti artists in Europe (including Banksy), and street art is now a unique facet of the neighborhood's identity. A mixture of murals just off Brick Lane. I went on a walking tour with Alternative London, which ended up being a nice mix of history and street art. The guide was an artist himself, and not only showed us some of the most well-known pieces of art near Brick Lane, but also pointed out some of the smaller, less-inconspicuous pieces that he loves that most people would probably miss. 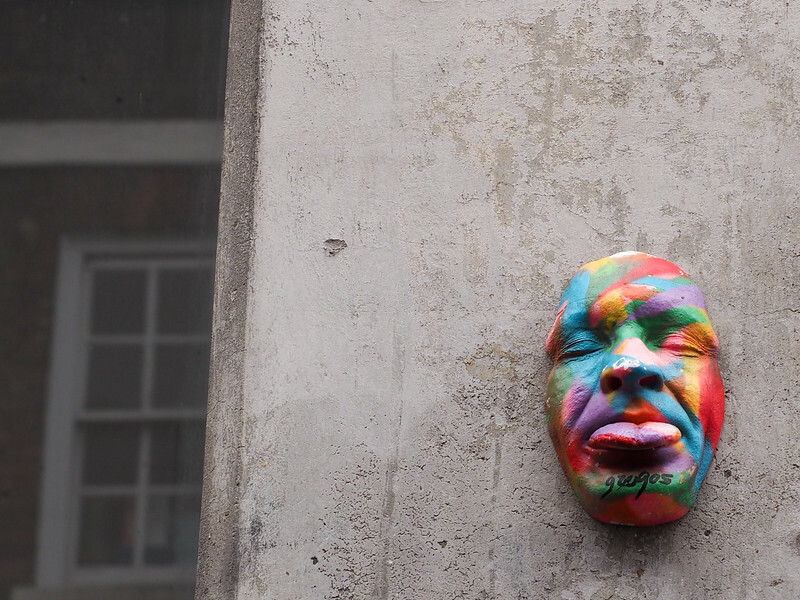 We saw stickers, tiny sculptures, stencils, and very small bits of art that hit home the fact that “street art” isn't JUST about huge murals – it's all about leaving a mark, no matter how small that mark might be. Our tour ended at the Nomadic Community Gardens, which is both a garden and creative space. The group that runs it identifies unused land (in this case, it's land that's awaiting development) and gets permission to turn it into a pop-up community garden and free artists hub. The Gardens won't be here forever – just until development of the land starts. But their “nomadic” name suggests that they'll likely move to another spot when the time comes. This was a really cool place to visit, and a great way to end our tour of alternative East London. 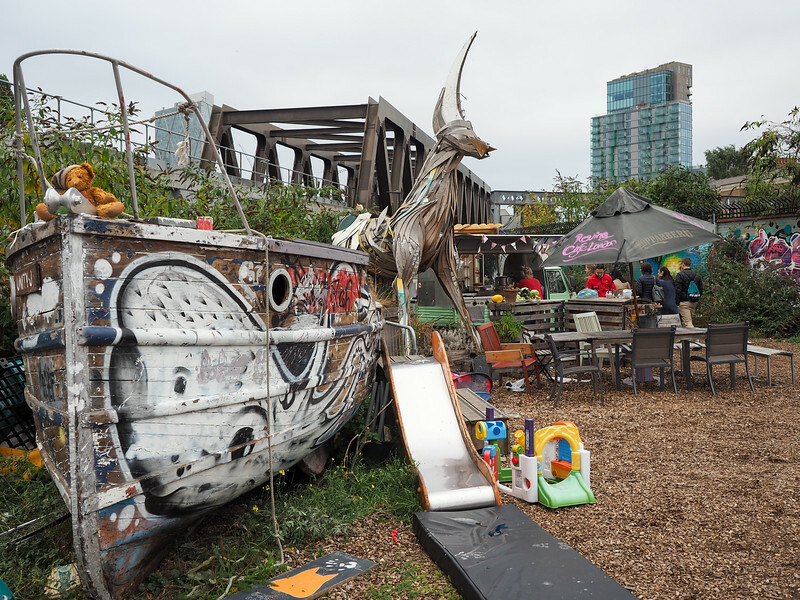 Nomadic Community Gardens – such a cool space! 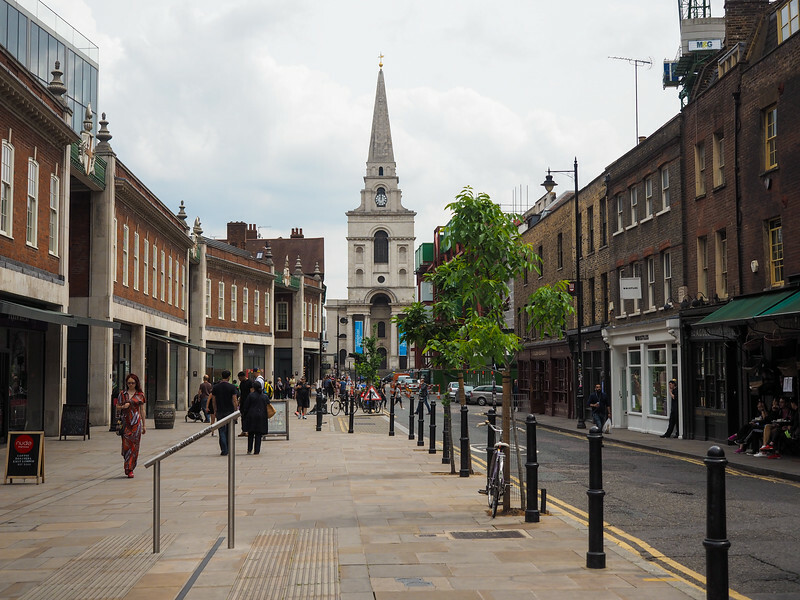 The Old Spitalfields Market is a staple of East London. In fact, there's been a market on this site for more than 300 years. Today, the covered market is filled with everything from restaurants to small boutique shops and is a great place to spend a couple of hours. Most travelers can attest to food being a window into the soul of a place. 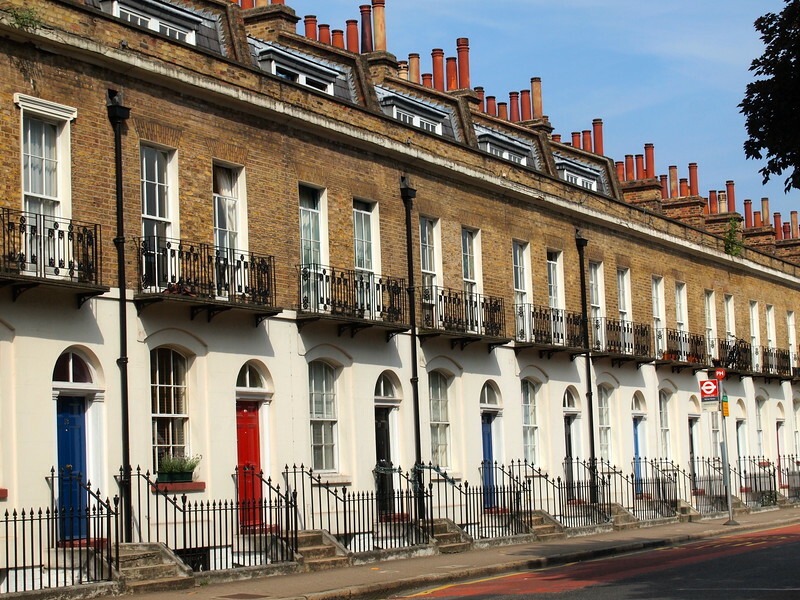 It's one of the best ways to get a grasp on an area's history and character – and this is definitely true in the East End. Since East London has always been such a conglomeration of cultures, its culinary offerings strongly reflect this. 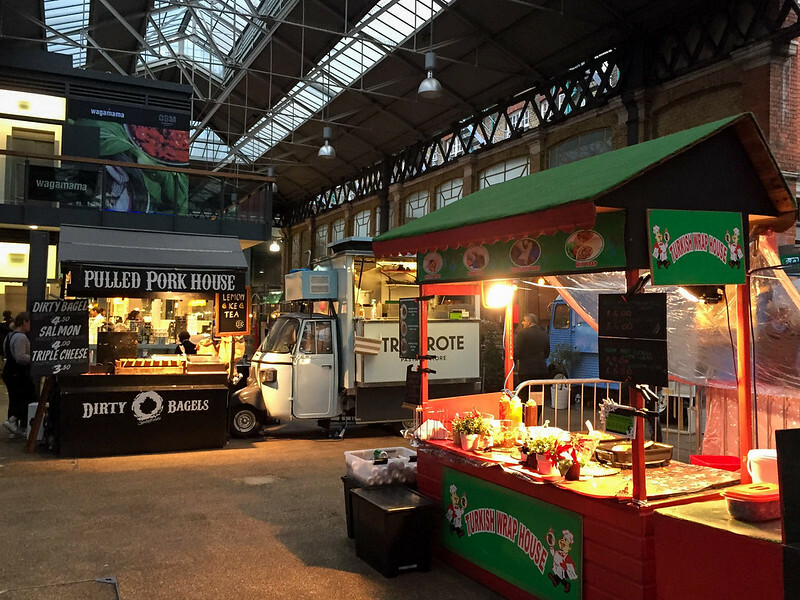 Meaning that going on a food tour in this part of London is almost a must-do. I did a food tour with Eating London that focused not only on the food but also the history of East London. 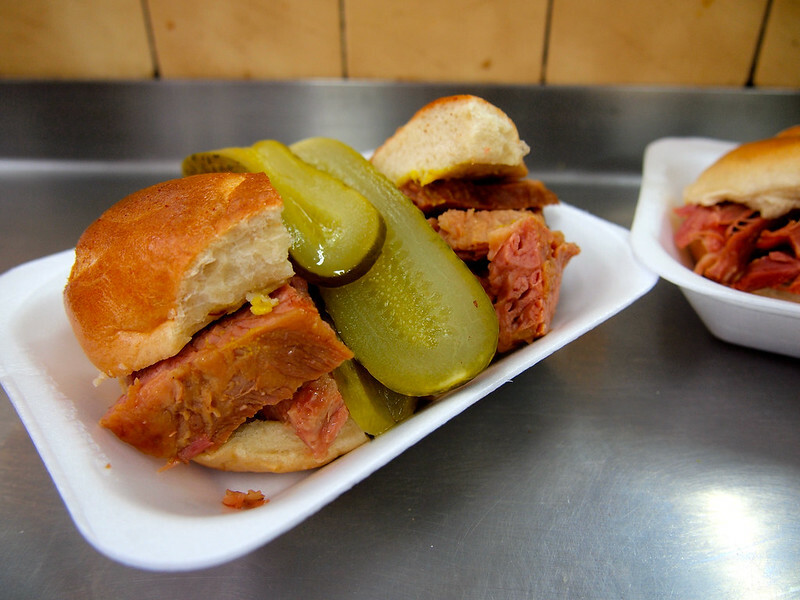 We had curry on Brick Lane, fish and chips at Poppies (an East End institution), corned beef bagels at the famous Beigel Bake, and more. And not only did I get to taste some great East London food, but I also learned about how the area's history has influenced the restaurants you can find there today. This is one of the best food tours I've done anywhere in the world! Many people don't know this, but there's a canal system that runs through much of London. It's called the Regent's Canal and was built as an alternative way to transport goods through London, back in the days when horses and carts would get bogged down in the mud and muck that made up city roads. 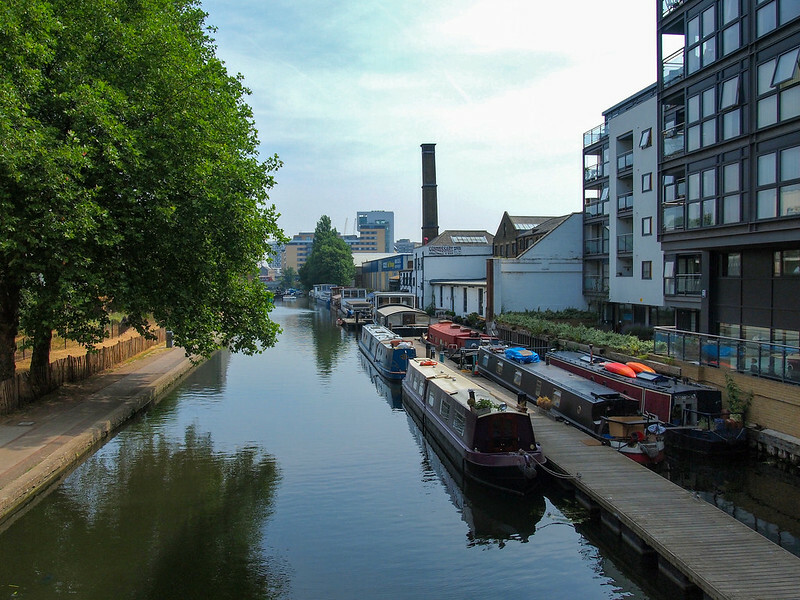 The canal's most famous bit lies near Camden Town, where it's often called “Little Venice.” But the canal in the East End is well worth a visit, too. Take a stroll (or a bike ride) to see the various houseboats and a quieter side of London. 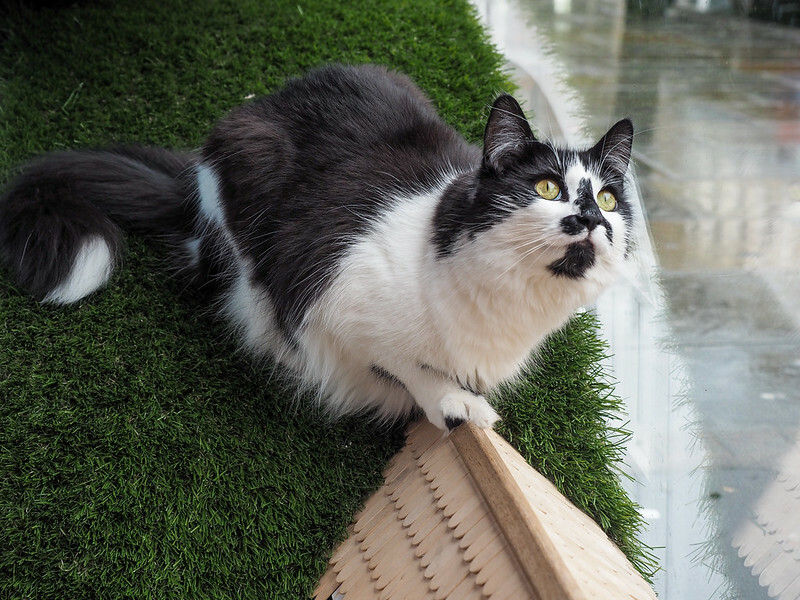 My newest favorite thing to do in East London is to spend time at Lady Dinah's Cat Emporium, the very first cat cafe in the city of London. 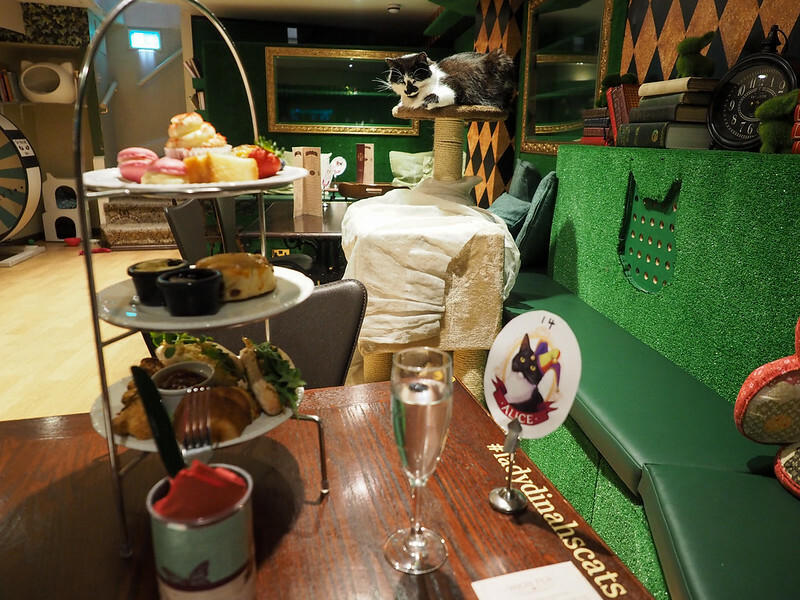 The cafe is home to 13 cats and a very nice selection of teas, coffees, cakes, and other cafe specialties, and also offers High Tea Friday-Monday. Booking a table is recommended (even though Lady Dinah's has been open for a few years, it's still extremely popular), and your booking nets you 90 minutes with the kitties and your snack/drink of choice. I've been to the cafe twice and loved it both times. And, if you're a cat-lover like me, you'll probably enjoy it, too! If you have some more time (or maybe if some of the above things don't appeal to you), you could go on another tour of East London. With so much diverse history here, there are all sorts of cool things you could learn about. Go on a , as this is the part of London where he carried out his murders in 1888, with some of the victims drinking in local pubs right before they were killed. Speaking of pubs, you could also go on a . Or maybe you're curious about the area's seedier past and would enjoy a instead. If you're into food, try out an of Brick Lane. For my foray into East London, I decided I wanted to stay IN East London, too. I decided on the , located in Shoreditch. This hotel has a lot of things going for it: it's less than a 5-minute walk from the Aldgate East tube station, there's an attached bar/restaurant, and the whole hotel is full of quirky character. I love hotels like this – ones that have a mixture of really useful features (like free, fast wifi) and features that just make you smile (like the “do not disturb” sign in the form of a stuffed animal). The hotel is also truly eco-friendly (ask them about their solar panels and electric car charging stations), AND won't break the bank – rooms start at around £90 per night. The Qbic London City is absolutely a hotel I would stay at again in London! 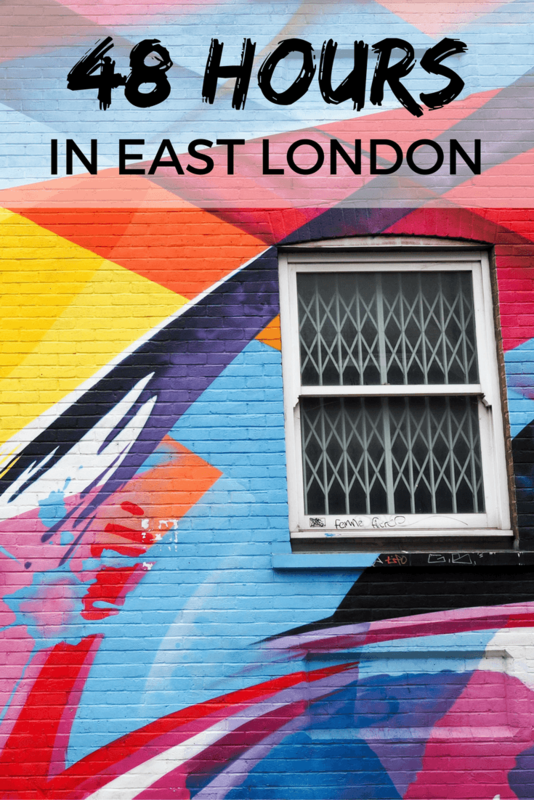 Have you ever spent any time in East London? If so, what are some of your other favorite things to do? *Note: I was a guest of Qbic London City during my stay, and took a free Eating London food tour back in 2013. But, as always, all opinions are 100% my own. I’ve never ventured into East London, but now that you mention it; to try the curries there would be quite amazing! I need to pay that area a visit! It’s one of my favorite parts of London – the food AND the street art is just so good! The East End is quite photogenic! You know, while I’ve always had London on my list of places to see, I’ve never really looked into the different parts of the city, so I appreciate this glimpse into the East End. Looks very cool! The street art definitely looks worth a walking tour so you don’t miss anything. And I’m really charmed by the Nomadic Community Gardens. What a great idea that is! The East End is definitely one of my favorite parts because of all its quirky character. But London has SO many cool neighborhoods! I’ve always been fascinated by East London — it just seems so funky and cool! Of course, I love every part of London I’ve visited, but I haven’t had a chance to check out East London! It’s what I plan to do next time I visit next summer while I’m over in London for the Harry Potter play! Brilliant post, Akatuki! 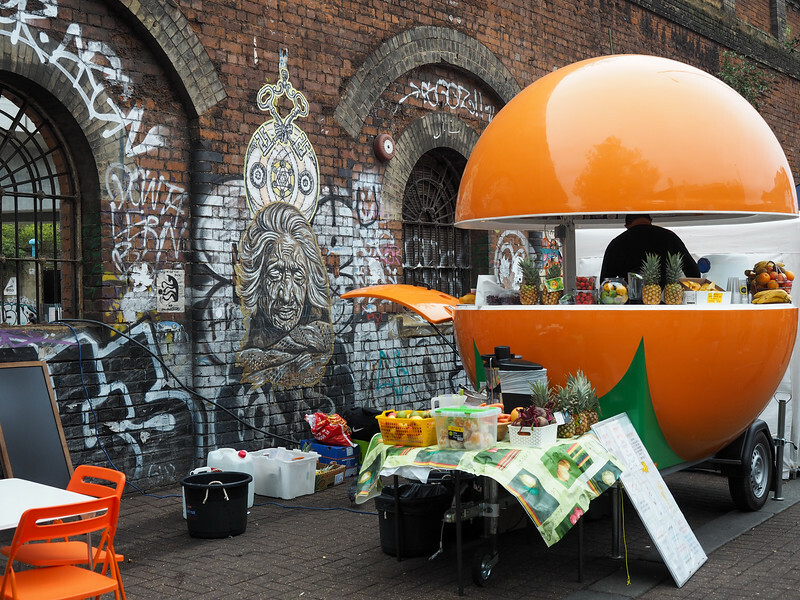 East London has some of the best restaurants and street cafes, not to forget the outstanding street art. My favorite restaurant is Dishoom located in Boundary Street and I think you should try it sometime if you haven’t already. Thanks for sharing this post and these amazing pictures. You’re a great photographer. Cheers! I’m looking forward to heading to the area on my next visit to London to try and spot some cool street art. Been to London 3 times and never headed to East London so really looking forward to it. If you’re into street art at all, this is definitely the place to go! The tour I did was really great (I noticed much more of the small stuff than I ever would have on my own), but you can see plenty of it just wandering around on your own, too. Great job bringing some press to East London! It is typically an area not touched upon by visitors, but we went on our first trip to London. Another great spot is Crate Brewery and Pizzeria – right near the canals with some outdoor space and awesome pizzas! Ooo, good to know! I love me some good pizza! 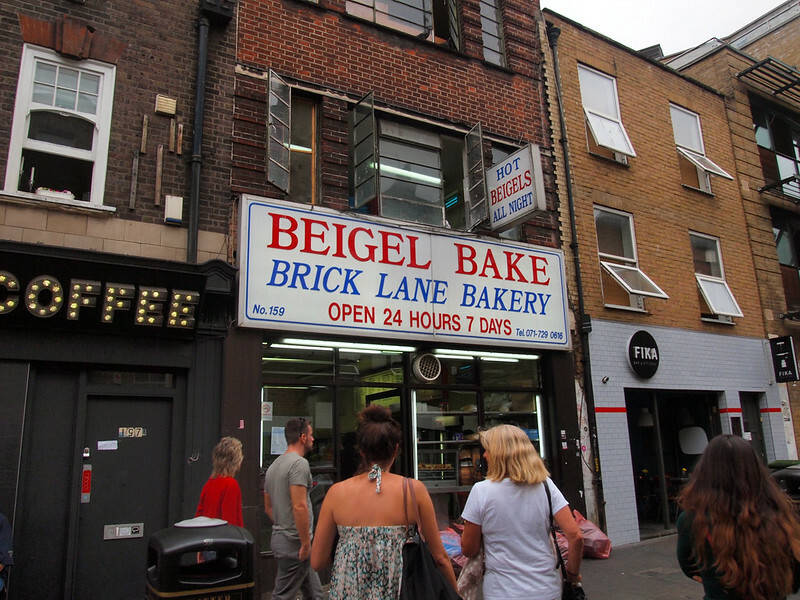 Love East London and the salt beef bagel at Beigel Bake is the best thing ever!! Best £4 I’ve ever spent! I agree 100%! I get one of those bagels every time I’m there and am never disappointed! That header shot reminded me of one of my favorite TV shows- Call the Midwife. It is based in East London in the 1950s. I’ve been to London two times but just did the typical tourist stuff- this looks like a great place to visit once you’ve already checked off all of the usual subjects. Thanks for your post- I’m forwarding to a friend that currently lives in London! Yes, I totally agree – this is one of the places you go on your second or third trip to London when you’ve already ticked all the must-do touristy sights off your list! Great post! I think the ultimate in travel luxury is the ability to focus on just one neighborhood, not trying to see everything in one visit, with the knowledge that you’ll be back again. It’s the same with Chicago – hotels are largely in one area and tourists rarely get to experience other neighborhoods. So true! I can totally understand sticking to the famous and touristy parts of any city on your first visit. But if you visit multiple times, focusing on just one or two neighborhoods is definitely the way to go! I’ve heard such great things about the Hoxton – I may try to stay there next time! Hello, my daughter and I ate visiting London in 2 weeks, do you recommend any travel agents to hire while we’re there? It’s our 1st time and want to do all that we can. Thank you for these stories, I love them all. I don’t know of any travel agents or guides or anything – but if you search my site I’ve written about a lot of things to do/see in London!